'Officer and Laughing Girl' by Johan Vermeer, 1655-1660. If you want to super zoom click here. More paintings by Vermeer at the Google Art Project. 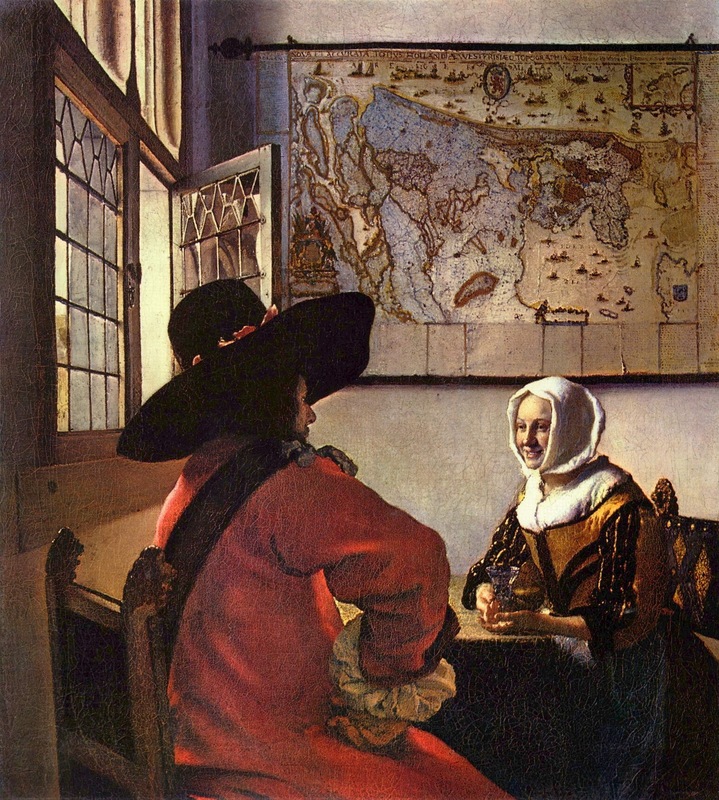 Vermeer is one of my favourite artists. That girl looks as though she was painted yesterday; so fresh and natural. Thanks for introducing me to Art Project. This is such a beautiful painting and a warm and natural smile. The use of light is often amazing in Vermeer paintings.